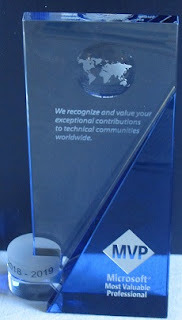 My Microsoft MVP (Most Valuable Professional) Data Platform award has now arrived. What a privilege it is to have received it. I like to share my passion for data and Microsoft technology. There is something about the data technology that excites my curiosity. I feel privileged to have found such a career focus. The award is for exceptional community leadership and expertise in technology focus.